An Annual survey conducted by the Retail Federation found 179 million Americans are planning to take part in Halloween, up from 171 million last year. The survey also found spending will be up 8.3 percent from last year's 8.4 BILLION. Yes, billions. That means Americans are expected to spend 9.1 Billion dollars on Halloween crap. Of that 9.1 billion-ridiculousness, 3.4 Billion is expected to be spent on costumes. I was in Target the other day and the cost of a child's costume was astrofuckingnominal. Who can spend that on costumes? I feel sorry for parents of multiples. 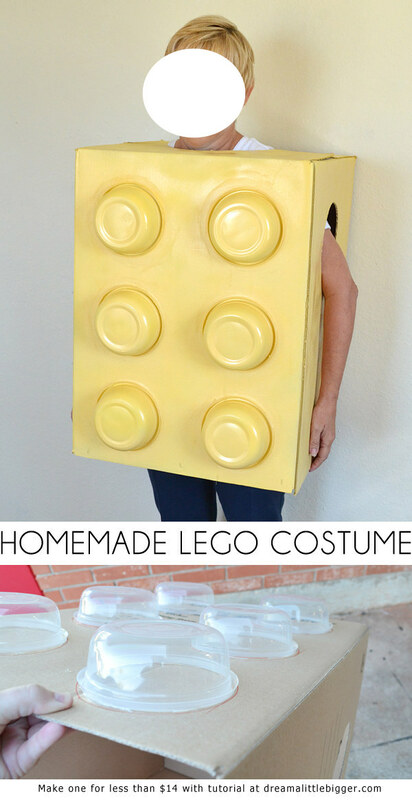 In an effort to save a few parents from spending a mortgage payment on Halloween, below are some absolutely awesome DIY (on-the-cheap) Family Costumes. 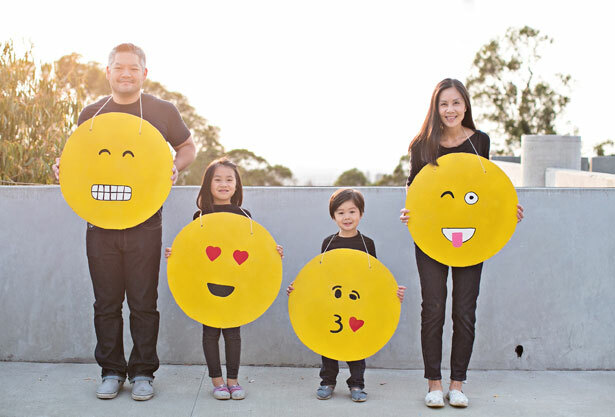 Shout out to, Hello, Wonderful, for this super cute, cheap and easy Family Emoji Costume idea. Full walk-through here. 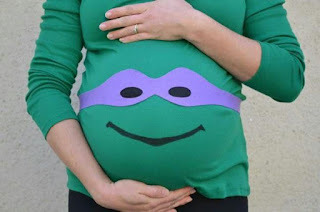 This DIY Teenage Mutant Ninja Turtle Costume is so easy! Spraypaint roasting pans you can pick up from the Dollar Tree, green, get the family matching green shirts or dye white one's green. Add Red, Orange, Purple and Blue ribbon from the local craft store, cut holes for the eyes, and off you all go! Preggies, check this turtle out! 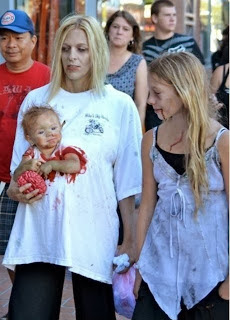 Zombie family is winner, too! TIP: Use clothes you are happy to destroy, and use the fake blood recipe below to make this winning family costume idea for under $5! Why not be the family on your rear window? You know, the stick figure family stickers? 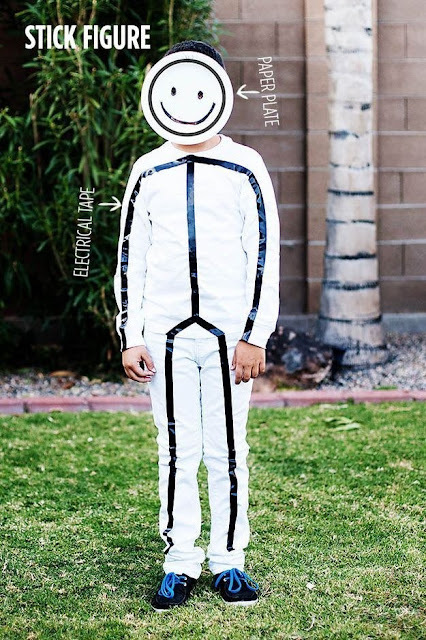 TIP: use glow in the dark paint to outline the stick figure for a fun night glow effect! Smores. Who doesn't love, Smores? 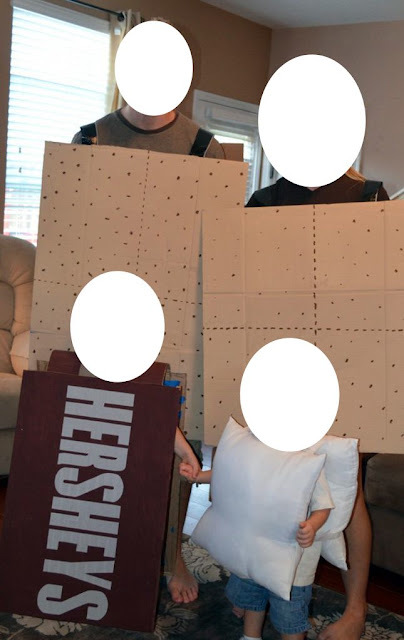 Use cardboard, markers and pillows to set this family costume off! Mmmm. Donuts! 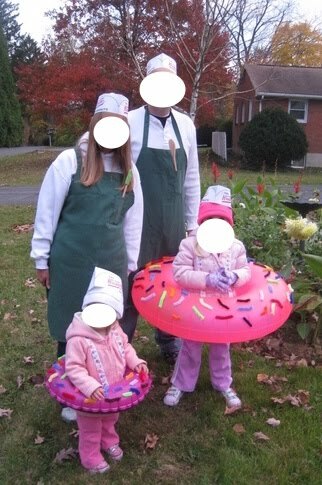 In order to pull off this family costume, you'll all have to make a trip to Krispie Kreme! You'll need two green aprons and two inflatable pool rings. I've seen the ones that look just like the girl's at Target on sale. Easy enough, and warm too for those cold Areas! 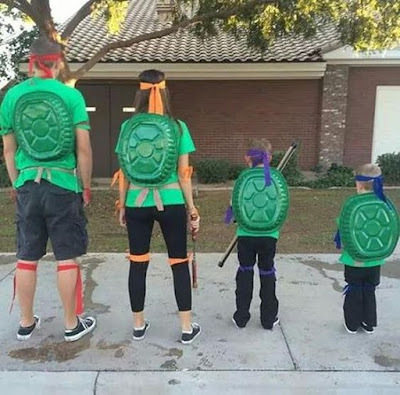 The family that LEGOs Together, sticks together! 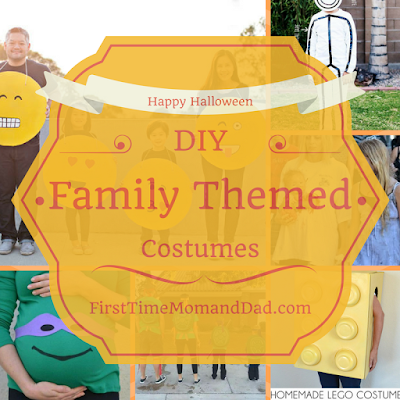 This is so easy to make and each family member can help with their own costume. Get boxes and paint at the local hardware store and containers at the Dollar Tree in packs of three!